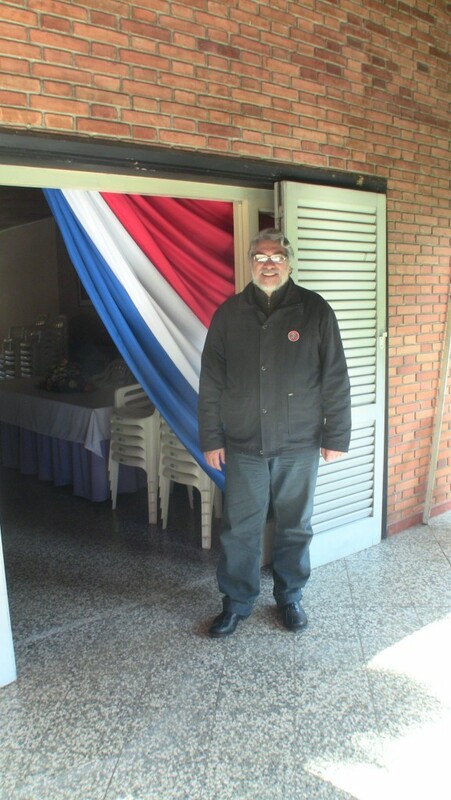 On my recent trip to Paraguay, right after the coup d’etat, which removed President Fernando Lugo from power, I was able to interview people of all kinds of types in relation to what happened. One of the interviews that most interest was shown for abroad was that with Fernando Lugo himself. The left-leaning bishop Fernando Lugo was elected in 2008 as President of Paraguay. With his election, 61 years of rule by the conservative Colorado Party ended. Similar to what has happened in several other Latin American countries in recent years, the new government set up social programs and longstanding relations with the United States were slowly replaced by alliances with neighboring countries. Ferreiro was known in 2008 to publicly oppose Lugo’s candidacy and he continues to be a critic of close allies, such as the government of Venezuela. His defense of Lugo in the defense procedures is therefore generally considered as being based on an objective reading of the Paraguayan Constitution. There have been many discussions on what concrete changes the coup-government will enact. One of the most often mentioned points is the issue of employment in the public sector. Lugo’s secretary of public employment until March this year was Lilian Soto, and she is quite proud of the changes they did in the hiring process: “Under the Colorado party, what got you a job was that you had political connections and family connections. We changed that to a formal process of checking education and experience of possible candidates.” Soto quit her job to run as presidential candidate in the 2013 elections for a feminist party and therefore felt she could not ethically continue to be part of Lugo’s government. Previous PostAgainst the expulsion of Erlin and Kely from the Honduran Pedagogical University!Next PostWhy does western media want a monarchy in the 21st Century?